Home HEALTH This is why Papaya (Pawapaw) is the the World's Healthiest Food. This is why Papaya (Pawapaw) is the the World's Healthiest Food. Papaya is a delicious tropical fruit that is loaded with antioxidants, which can reduce inflammation, fight diseases and help keep you looking young. 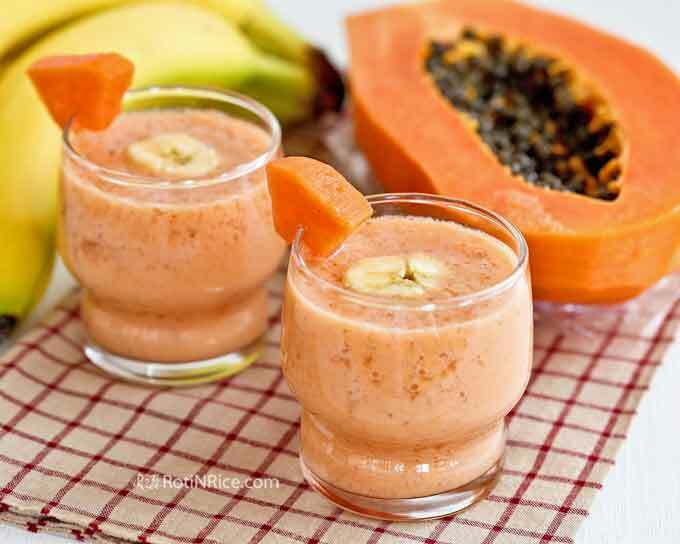 Papaya is a natural source of vitamins and minerals that are essential for the normal functioning of the body. 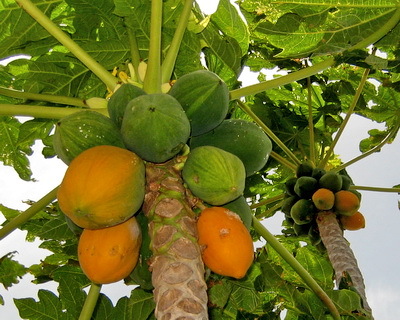 It is famous for its luscious taste and sunlit color of the tropics and can be eaten as a fruit in the raw form, a smoothie, a milkshake, or as a vegetable in various recipes. In fact, Christopher Columbus, an Italian voyager once referred to papayas as the fruit of the angels. Eating papaya fruit can help to strengthen your immune system and improve your digestive health. It can also help improve your eyesight, lower cholesterol levels, and give a boost to your skin’s health. Papaya fruit is also a good source of vitamins such a vitamin C, E, and A.
Latex derived from the raw papaya fruit is used as a meat tenderizer and is also used in the manufacturing of several cosmetic, skin, and beauty products, as well as certain chewing gums. They are available for consumption throughout the year. The whole fruit, including other parts of the tree, are beneficial to health in several ways. Papaya in raw form contains enzymes, which are used in the preparation of dietary supplements and chewing gums. According to the USDA National Nutrient Database, papaya is rich in antioxidant nutrients such as carotenes, flavonoids, and vitamin C, as well as vitamin B (folate and pantothenic acid). It is also a good source of fiber and minerals such as magnesium. Together, these nutrients help improve cardiovascular health and protect against colon cancer. Here are some of the top health benefits of papaya…. 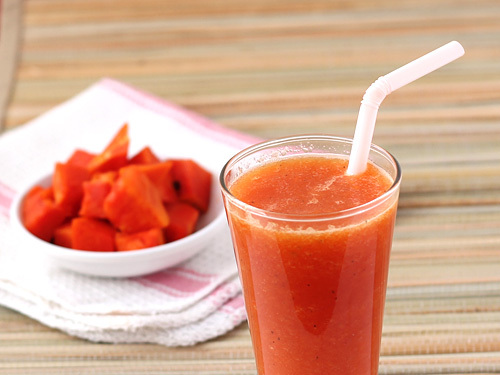 Papaya is rich in fibre, Vitamin C and antioxidants which prevent cholesterol build up in your arteries. Too much cholesterol build-up can lead to several heart diseases including heart attack and hypertension. Those looking to lose weight must include papaya in their diet as it is very low in calories. The fibre content in papaya leaves you feeling full and also clears your bowel movement making your weight loss regime easier. Your immunity system acts as a shield against various infections that can make you really sick. A single papaya contains more than 200% of your daily requirement of Vitamin C, making it great for your immunity. 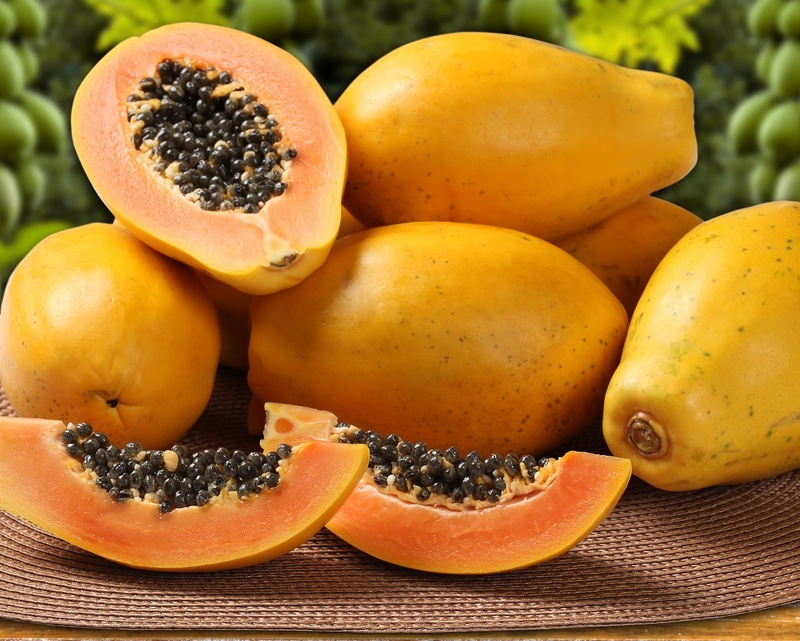 Papaya is an excellent food option for diabetics as it has a low-sugar content even though it is sweet to taste. Also, people who don’t have diabetes can eat papaya to prevent it from happening. Papaya is rich in Vitamin A which helps protect your vision from degenerating. Nobody wants to lose their ability to see due to diseases like age-related macular degeneration, and eating papayas will ensure that you do not see a day where you cannot see. Vitamin C were three times more likely to have arthritis than those who didn’t. In today’s times, it is near impossible to avoid eating foods that are bad for your digestive system. Often we find ourselves eating junk food or restaurant food prepared in excessive quantities of oil. Eating a papaya daily can make up for such occasional mistakes, as it has a digestive enzyme known as papain along with fibre which helps improve your digestive health. Women who are experiencing menstrual pain should help themselves to several servings of papaya, as an enzyme called papain helps in regulating and easing flow during menstrual periods. All of us would love to stay young forever, but no one in this world has managed to do it. Still, healthy habits like eating a papaya daily will prolong the process and may make you look 5 years younger than you are. Papaya is rich in Vitamin C, Vitamin E and antioxidants like beta-carotene which helps prevent your skin from free radical damage keeping wrinkles and other signs of ageing at bay. Papaya is a rich source of antioxidants, phytonutrients and flavonoids that prevent your cells from undergoing free radical damage. Some studies have also linked the consumption papaya to reduced risk of colon and prostate cancer. After working hard for the whole day, it is a good idea to come home to a plate a papayas. The wonder fruit is rich in several nutrients like Vitamin C which can keep you free from stress. According to a study conducted in University of Alabama, found that 200 mg of Vitamin C can help regulate the flow of stress hormones in rats.